Learn about our full array of dental services offered at our Denver, NC office. Maintaining optimal oral health is vital to your overall health. As such, we are committed to providing comprehensive dental care to include not only traditional treatments, but also the latest in advanced surgical options, prevention, early detection, and patient education. From the moment you walk in the door until the time you leave, we want you to feel at home. We want you to feel understood, supported, and that your best interest is in mind. 2. 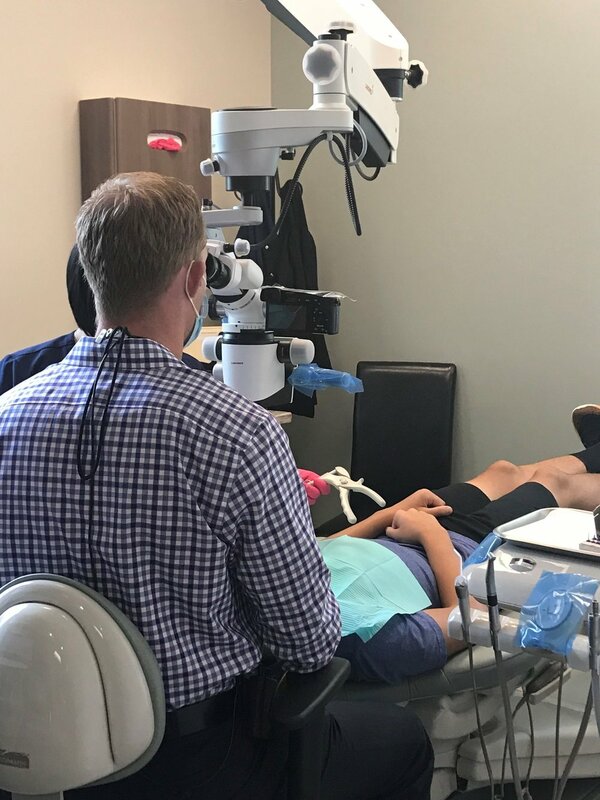 Having the higher magnification also means Dr. Ellis can take a more conservative approach to treatment because he’ll be able to see exactly where a problem is occurring. It also means greater precision and accuracy. 4. With the capability of taking high resolution pictures with the microscope, you the the patient can see exactly what Dr. Ellis sees. Not only will you have a better understanding of the condition of your mouth, but you’ll have confidence in the care you’re receiving.